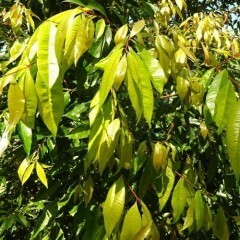 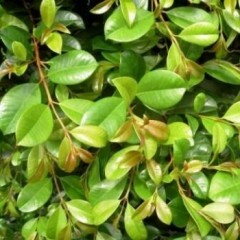 A large evergreen shrub which is a smaller leaf and bushier form of the lilly pilly. 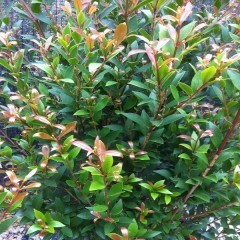 It produc..
A larger dense shrub with a pretty display of small green leaves and colourful pink/ red-bronze new ..
A vigorous evergreen with thick and compact luscious lime green foliage which glossens to mid green ..
Beautiful large tree that produces highly decorative flowers in early summer followed by mauve- whit..
A colourful bushy shrub with pretty foliage in brilliant shades of red, pink and apple-green bearing.. 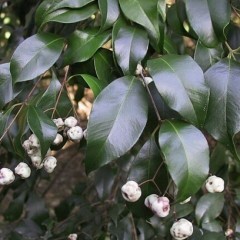 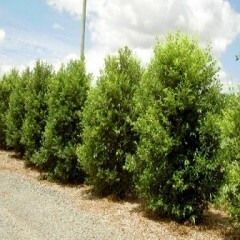 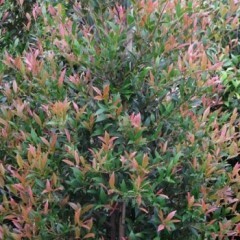 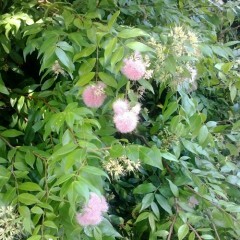 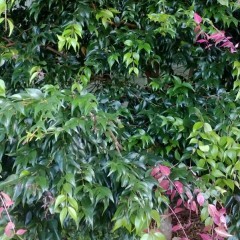 The perfect Australian native plant with its attractive compact ruffled pretty foliage bearing white..
A large evergreen tree with small glossy dark green leaves that are pale pink then red when young be..
A stunning medium to large evergreen with a dense canopy of dark green glosssy foliage which turns r..